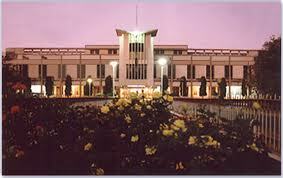 Visvesvaraya National Institute of Technology, Nagpur is one of the thirty National Institutes of Technology in the country. The Govt. of India conferred on the Institute, the Deemed to be University status (under University Grants Commission Act, 1956 (3 of 1956)) with effect from 26th June 2002. Subsequently, the Central Govt. 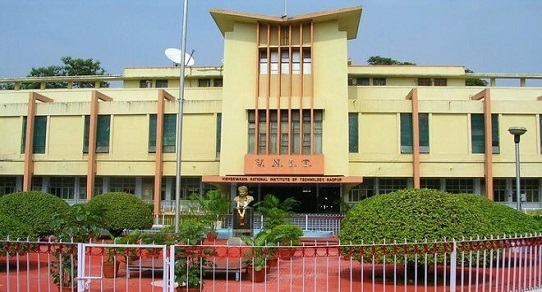 by Act of Parliament (National Institutes of Technology Act, 2007 (29 of 2007)) declared VNIT Nagpur as an Institute of National Importance along with all other NITs. The Act was brought into force from 15th August 2007. Campus:VNIT has a beautiful green campus of about 214 acres near Ambazari Dam. All departments & laboratories are housed on the campus. Hostels accommodating about 1000 students, including 200 girl students, as well as residential accommodation for teaching & non-teaching staff of the college are available on the campus. Consciously developed, the campus has retained & increased its green cover, rich in natural flora & fauna, & provides an attraction for bird watchers.The VNIT Library is 4 decades old having an independent three storied building. The collections of books and journals have been methodically developed through the years. It is always ensured that the collection is dynamic in nature by stacking separately ACTIVE and INACTIVE collection in tune with changes in syllabic. Central library:The library and information resources center is automated and users LIBSYS software. Students and faculty access library information through ON LINE PUBLIC ACCESS CATALOGER indexed databases called EI-COMPENDIOUS PLUS, DISSERTATION ABSTRACTS INTERNATIONAL and SAE Technical Papers are on campus-wide network of 10/100 M bps lines and are available round the clock. Hostel:V.N.I.T. has excellent residential facilities to cater the need of more than a thousand students. There are seven Boys Hostels and two Girls Hostels. Each hostel is having a telephone, T.V., Sports Items, water coolers, water heaters and well equipped mess facilities. It is mandatory for hostel inmates to join the mess in his / her hostel, managed by committee of students’ representatives. All hostels are having independent mess where vegetarian and non-vegetarian meals are available. All residents have to bear the wages of the mess cooks, servants, helpers and cleaners. Ministerial staff is provided by the Institute. The Chief Warden looks after the management of the hostels along with a team of seven wardens and Hostel Manager. That the Earth rotates around an AXIS is a known fact. But, as students sticking to this fact as Gospel truth, what makes our world go round? Your guess is as good as ours, it’s AXIS. AXIS took birth in ‘Odyssey’, a Mechanical Engineering event in the year 2001. Over the years, AXIS has evolved to become Central India’s largest engineering and technology portrayal platform. Brand AXIS having established itself in the itinerary of Technical Festivals in the country, aims at bringing together a plethora of engineering talent from across the country to participate, learn and innovate as an engineer and more importantly, as a responsible youth who shall build the new face of and an emerging Nation; because the wheel of economy runs about the AXIS of technology. please tell me time table for PAT 2013-2014 along with syllabus.